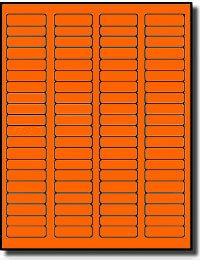 1,600 Fluorescent Neon Orange Labels, 1-3/4" x 1/2"
This label is 1/2" x 1-3/4", 80 per sheet, and is the same size and layout as Avery 5167. Use this small, brightly colored Label to Draw the Eye to your message. 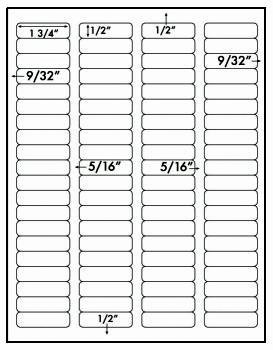 Use the Avery® 5167 Template to print 80 Labels per Sheet.